Xiaomi's Mi 8 family is expanding as today, Xiaomi added the Mi 8 Pro and the Mi 8 Lite (also rumored as Mi 8X). The higher-end device named Mi 8 Pro and seems destined to become the international version of the Mi 8 Explorer. It comes with a pressure-sensitive screen fingerprint scanner, but swaps the 3D structure Face unlock for an IR face unlock and ads two more colors - Blue and Gold (while also being offered with the transparent back the Mi 8 Explorer comes in). 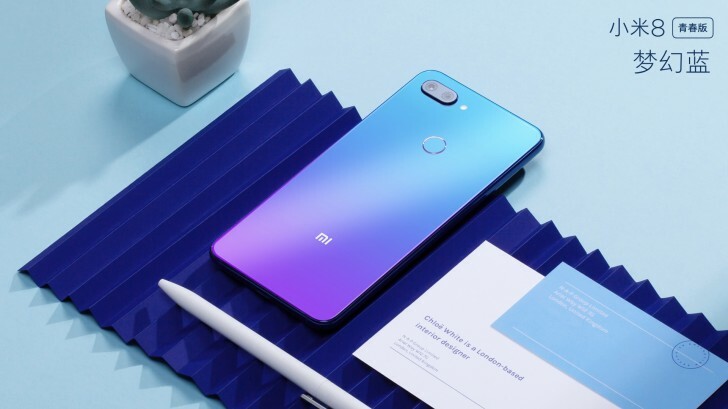 The Xiaomi Mi 8 Pro comes with 6GB and 8GB of RAM, and not just 8GB as the Explorer edition. 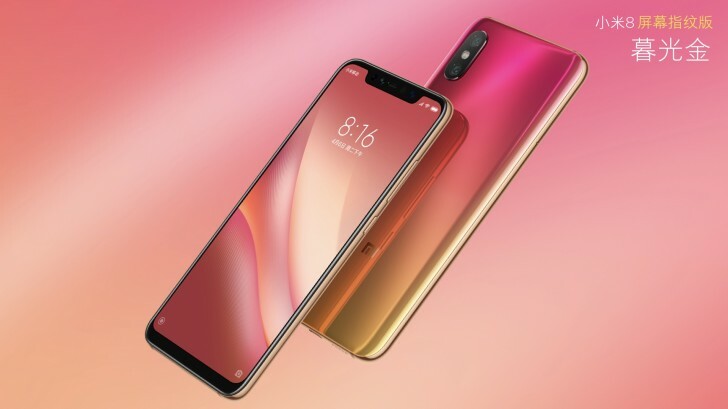 Moving on, the Xiaomi Mi 8 Pro has a 6.21-inch 1080x2248px OLED display, a Snapdragon 845 chipset, a 12MP f/1.8 + 12MP f/2.4 main camera and a 20MP front-facing camera. The Xiaomi Mi 8 Lite uses a 6.26-inch LCD, Snapdragon 660 chipset, a 12MP + 5MP rear camera, a higher-res 24MP selfie camera and a 3,350mAh battery. Unlike the Mi 8 Pro, the Mi 8 Lite has a standard fingerprint scanner on the rear. It comes in two gradient color finishes - Blue and Purple as well as Orange and Yellow. Both new Xiaomi phones will go on pre-sale on September 19. The Mi 8 Pro will be priced CNY 3,200 (€400) for the 6GB/128GB model and CNY 3,600 (€450) for the range-topping 8GB/128GB and will start shipping on September 21. 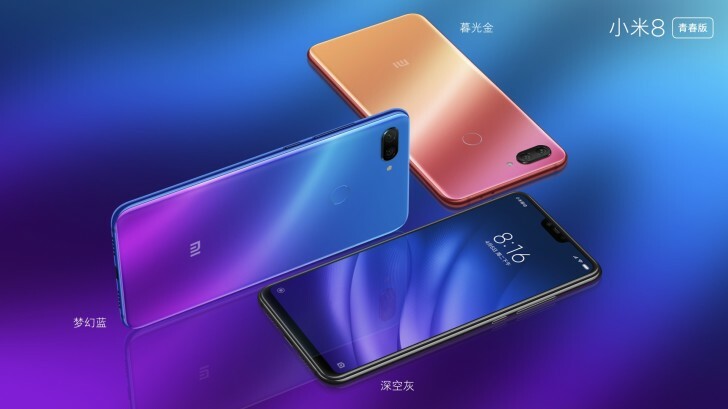 The Xiaomi Mi 8 Lite will go for CNY 1,400 (€175) for the 4GB/64GB model, CNY 1,700 (€210) for the 6GB/64GB and CNY 2,000 (€250) for the 6GB/128GB model. They start shipping on September 25.